Alex Tom will be transitioning out of CPA at the end of 2018. Over 17 years ago, Alex Tom arrived at CPA as a young volunteer, with his long hair and bad Chinese. Soon after, in 2004, he joined the CPA staff team as our Campaign Coordinator and became Executive Director in 2010. I am honored to share with you all today that at the end of this year, Alex will be transitioning out of his role as Executive Director. He will be staying on as Senior Advisor to support CPA during this transition until June 2019. Over the course of these 15 years, while his hair and Chinese has gotten better, Alex has embraced the challenge of building CPA with positive energy, humility, creativity, and hard work. He has helped us win changes in the lives of workers; grown our staff team and programs; and built an organization rooted in the history of our movements and anchored by our grassroots leaders. He is an amazing mentor, and as a yelder (young elder) and Collin’s Baba, Alex has been generous with his stories and the lessons he’s learned. Alex is not a superhero, but he is my hero, and I am so proud of the work that we have done together these last 15 years. He has understood that the work for social and economic justice is not work to just grow our organization but also to support the ecosystem of organizations. Alex will continue this work through the Center for Empowered Politics Education Fund, a new capacity building project that aims to train and develop new leaders and grow our movement infrastructure. Shaw San Liu will be CPA’s new Executive Director in 2019. There is a movement saying that Alex puts into action. He is not passing the torch, but we are lighting new torches and expanding our movement. 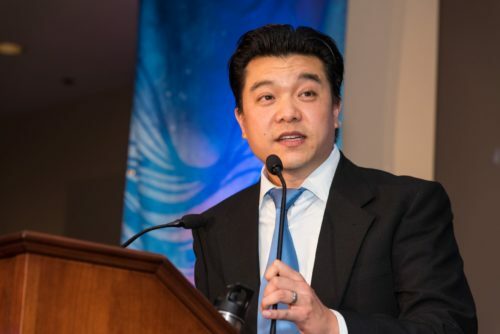 With his transition, I am so excited to announce that Shaw San Liu, CPA’s Organizing Director, will be our new Executive Director starting January 2019. Over the last 12 years, Shaw San has strengthened CPA’s worker organizing, helped win the citywide $15 minimum wage, and built San Francisco’s minimum wage enforcement. She has been critical to strengthening community and labor partnerships and has grown our worker organizing team. As our new Executive Director, Shaw San is committed to nurturing CPA’s growth, honing our strategic position, growing our grassroots forces, and waging the bold campaigns that we need to build the society we want to live in. 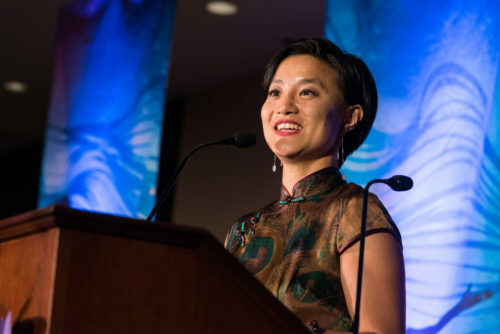 Particularly at a time, when our communities are under attack, we are lucky to have Shaw San step into this role as a mama to Kiluxin and a leader in our movement, with her tenacity, sharpness, humor, and deep commitment to building working-class, grassroots leadership. Thank you, Alex and Shaw San, for all of the work that you have done to build CPA and for offering your leadership to us. Thank you to all of you who have supported us over these last four and a half decades. We are so grateful for being with us in this movement. I hope you will join us in thanking Alex for all of the work he has done and will continue to do. CPA will be hosting an appreciation party for Alex on Sunday, December 9th 2pm to 6 pm at the Hilton Chinatown SF Ballroom/Chinese Culture Center. Keep an eye out for an invitation.